Former NCC chair and Ottawa-area MP Jean Pigott hailed as a community builder and tireless worker for the capital. 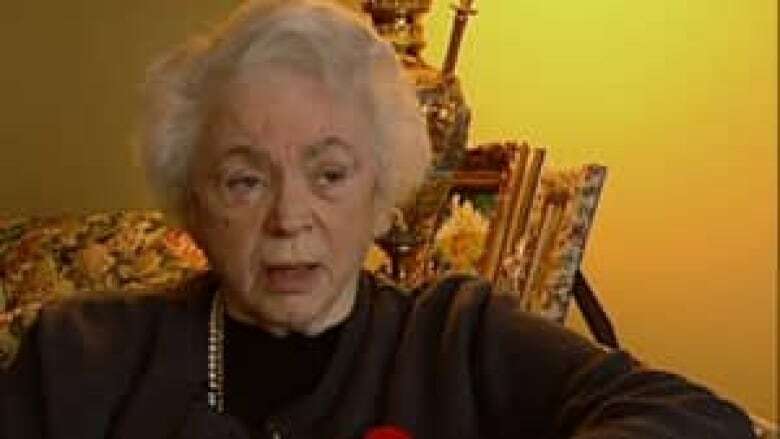 Jean Pigott, a former Ottawa MP, chairwoman of the National Capital Commission and businesswoman, has died at the age of 87. She passed away early Tuesday morning at Grace Manor, the site of the old Grace Hospital, where she was born May 20, 1924. Pigott was a pioneer among women in business and was president of the family-owned Morrison-Lamothe Bakery in the 1970s. Jean Pigott was named to the Order of Canada in 1995. In 1976, she won a byelection in the old riding of Ottawa-Carleton and became a member of Parliament with the Progressive Conservative Party. She lost her seat in 1979 but then worked as an advisor to then prime minister Joe Clark. In 1984 she was appointed by then prime minister Brian Mulroney as chairwoman of the National Capital Commission. Pigott also served as chairwoman of the Ottawa Congress Centre as well as a number of corporate boards. In 1995, she was made an officer in the Order of Canada. Flags flew at half-mast at Ottawa city hall Tuesday after news of her death was announced. Ottawa mayor Jim Watson said the city and country lost "a great community builder." "Jean would inspire young and old alike with her ability to be the nation’s storyteller, and she was an inspiration to me personally as a young city councillor when I first met her," said Watson in a statement. "Her drive and determination to create 'Confederation Boulevard' and a new convention centre are just two of the many legacies she has left our city with," he said. Pigott was a passionate and tireless worker for the capital, the NCC said in a statement.